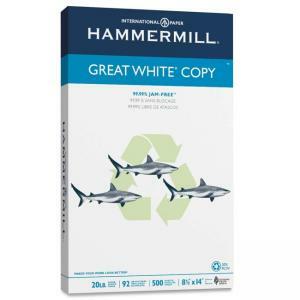 Media Size: Legal 8.50" x 14"
Hammermill 86704 Great White Copy Paper - 8.5" x 14"
Versatile, recycled copy paper runs efficiently through all office equipment, especially for copiers, printers and plain paper faxes. Acid-free quality delivers long-lasting documents. Precise, accurate, consistent moisture-content and curl control ensure trouble-free performance. 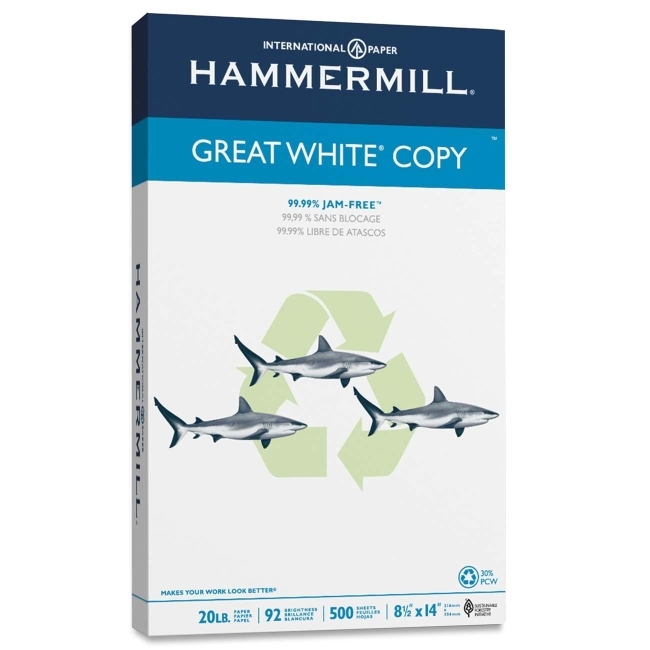 Copy paper contains 30 percent post-consumer material.